CHARGE research and CHD7 research help us understand the syndrome, its features and management. Want to participate in research? See Opportunities for Families and start with CSCDP. Check back often to see if new studies have been posted. Looking for grant opportunities? 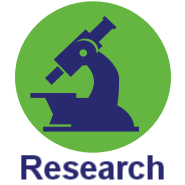 See the RFP information in Foundation Supported Research. Are you a young professional interested in attending a biennial conference? See the Davenport Fellowship information. Looking for potential research participants? See the CSCDP information. Looking for more information about aspects of CHARGE? See News and Reports. With more than 1000 attendees, including more than 200 individuals with CHARGE, the International CHARGE Syndrome Conference presents a unique opportunity for research. If you might be in a position to conduct research at the 2019 Conference in Dallas, please contact Meg Hefner as soon as possible with the information requested here. Learn more about what the CHARGE Foundation has to offer researchers by using the links on the left, or below for mobile devices.